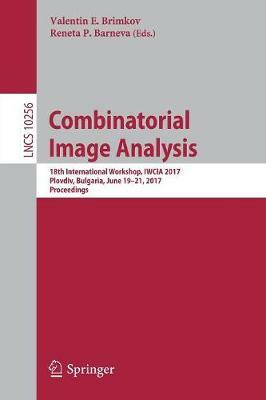 This book constitutes the proceedings of the 18th International Workshop on Combinatorial Image Analysis, IWCIA 2017, held in Plovdiv, Bulgaria, in June 2017. The 27 revised full papers presented were carefully reviewed and selected from 47 submissions. The workshop is organized in topical sections of theoretical foundations and theory of applications, namely: discrete geometry and topology; tilings and patterns; grammars, models and other technical tools for image analysis; image segmentation, classification; reconstruction; compression; texture analysis; bioimaging.